For students around the world, acceptance into the “Oxbridge” universities represent the pinnacle of academic excellence. Beyond the academic prestige these universities are often recognised for, however, very little is known about their eccentric university cultures. Kharthik Chakravarthy, a Cambridge A-Level alumnus from INTI International College Penang and former Masters in Mechanical Engineering student from Imperial College London, moved to the University of Oxford six months ago when he received a full scholarship to complete his PhD at the university. 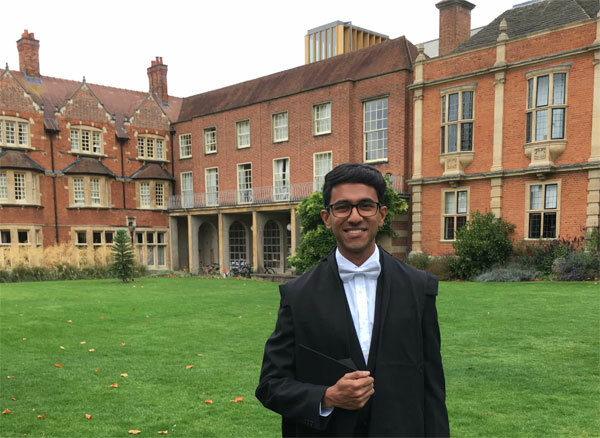 Presently pursuing his DPhil in Engineering Science, Kharthik provides insights into the intriguing traditions at the University of Oxford. “It is a different experience from my time at Imperial College and in Malaysia. Oxford is eccentric in its traditions and that is what made my international experience all the more fascinating,” Kharthik says. A unique Oxford experience lies in its dress codes. Commonly known by Oxonians, ‘sub fusc’ are traditional dresses required for all Oxford students. Potentially the inspiration for British school uniforms seen in popular movies, the sub fusc includes a suit and bowtie (for men), black shoes, a plain white collared shirt or blouse, a mortar board, and an academic gown. “Each Oxford gown varies in its designs and presently, there are three types of academic gowns, namely, the Commoner’s gown, the Scholar’s gown and the Advanced Student’s gown, also known as the Graduate’s gown. A Commoner’s gown is worn by students enrolled in their undergraduate or undergraduate masters degrees. A Scholar’s gown is for students pursuing their undergraduate or undergraduate master’s degrees, are scholarship recipients, and/or have excelled in their preliminary examinations. A postgraduate taught or postgraduate research degree student uses an Advanced Student’s gown,” explains Kharthik, himself the proud owner of a Graduate’s gown. For aspiring Malaysian students to note, sub fusc are mandatory apparel for an Oxford student when attending examinations and official ceremonies. Another prevailing culture at the University of Oxford includes the unique tradition of wearing a specific-coloured carnation during examinations. Tradition dictates that a white carnation is to be used during a student’s first examination, a pink carnation for intermediate examinations and a red carnation for an individual’s final examinations. Despite its name, “Trashing” is a celebratory event at the University of Oxford, held after students sit for their final examinations. Students are “trashed” in a cordoned off area with items such as confetti sprays, champagne, and shaving foam by family and friends. 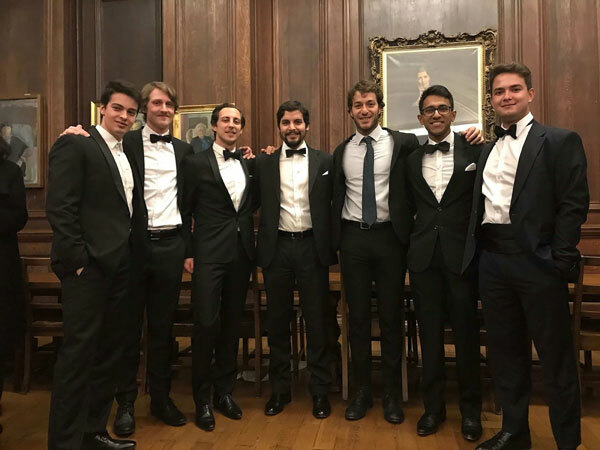 The event marks a celebratory ending for students after gruelling hours of examinations that are usually held over the course of a few weeks. Matriculation is a grand occasion that marks the official conferment of membership for a student into the university. 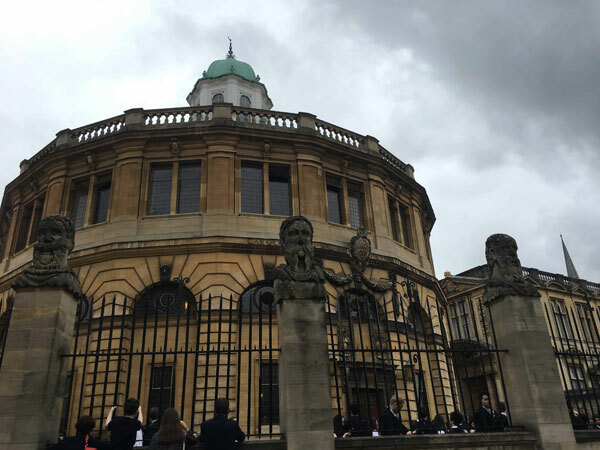 Celebrated during the first week of a student’s enrolment as a ceremony to welcome newcomers into Oxford, matriculations are held in the historic Sheldonian Theatre that was built in 1669 – an awe-inspiring experience in itself. “This unique tradition varies from other universities who typically only mark the end of a student’s academic journey. Interestingly enough, this century-old tradition is a compulsory part of every Oxford students’ journey and students who do not participate will not be allowed to sit for their examinations,” warns Kharthik. In spite these eccentric traditions, Kharthik explains that he did not experience any difficulties in adjusting to his life in Oxford, attributing this to the exposure he received by being a Malaysian and beginning his education locally.